Welcome to the ProSquad! 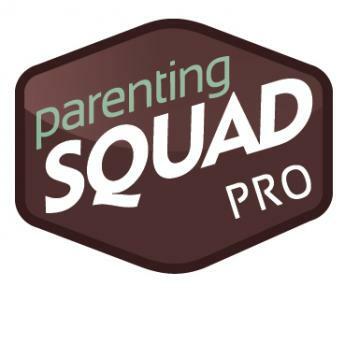 We check in regularly with our team of experts to get answers to parenting's trickiest dilemmas and hottest issues. This week, we hear from our newest expert about the field of occupational therapy, and from our sleep expert on working with the nap/no nap schedule of a two-year-old. What kinds of skills/areas of child development do occupational therapists specialize in? That is a great question! Occupational therapy (OT) helps people with injuries or disabilities increase their independence and participate in daily routines through participation in therapeutic activities. A child has several "occupations", including school, play, and taking care of daily living skills such as bathing, dressing, feeding, etc. A little one who has a disability or is recovering from an illness or injury hopes to return to his occupations as soon as possible, so that's when OT typically comes into the picture. Occupational therapists work with children diagnosed with a variety of conditions, such as cerebral palsy, spina bifida, learning disabilities, developmental delays, autism, and cancer. In therapy, we work on a variety of skills, depending on the area of need. Here is a list of problems that a pediatric occupational therapist might address. This list of diagnoses and problems is not all-inclusive, but hopefully you have the idea! I am so excited to be a member of this team, and I'm looking forward answering any questions that our readers have related to occupational therapy or infant/child development, so keep those questions coming! 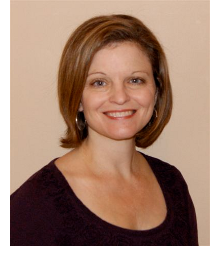 Anne Zachry, Ph.D. is a pediatric occupational therapist, child development specialist and mother of three. She's had articles published on Parenthood.com, Pregnancy & Newborn Magazine online, has written a parenting course for Daily OM, and writes for a variety of regional parenting magazines. Dr. Zachry's research has been published in national peer-reviewed journals, including The Southern Medical Journal, The American Journal of Occupational Therapy, and The Occupational Therapy Journal of Research, and she's had articles published in her profession's trade magazines, Advance and OT Practice. She is a member of the American Occupational Therapy Association, and she has also given numerous presentations to parents and teachers on a variety of topics related to infant and childhood development. Her websites are Dr. Anne Zachry and Pediatric Occupational Therapy Tips. Is two years old too young to stop napping? I know that naps are important for babies and toddlers, but when my two-year-old daughter takes a nap, she's not tired at bedtime, and she's up until 10 p.m. When she doesn't nap, she's in bed at 7:30 and bedtime is easier. I'm tempted to stop her naps altogether. While most two-year-olds still need a daily nap, there are exceptions. Most children still take naps at two, but about 10 percent are ready to quit. For some children, especially those who need less sleep overall, a daily nap can create a nightmarish bedtime scenario — especially if the nap is too long. If your daughter is relatively happy during the day without a nap, falls asleep quickly at bedtime, and sleeps well at night, she may one of the few children ready to stop napping at two. But before you put a moratorium on all naps, try limiting the length of her daily snooze. Waking her after 45 minutes or one hour gives her a chance to rest and refresh, and may still allow her to fall asleep at a reasonable hour at night. Malia Jacobson has been helping tired families sleep since 2007. 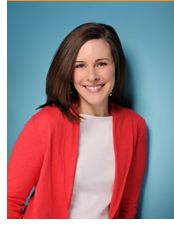 She is a writer, editor, nationally-published sleep journalist, and author of "Ready, Set, Sleep: 50 Ways to Help Your Child Sleep, So You Can Sleep Too." Her sleep articles reach millions in respected print publications. Malia's articles have been featured in over 70 news outlets and publications, including ABC News, Women's Health Magazine, Costco Connection Magazine, Seattle's Child Magazine, ParentMap Magazine, Seattle Business Magazine, San Diego Family Magazine, and Cincinnati Family Magazine. She is a contributing writer at Family Time Magazine and Broward Family Life Magazine. She holds a bachelor's degree in communication and a master's degree in business administration/marketing. When she's not writing, she organizes a popular attachment parenting group in her hometown of Tacoma, Washington, digs in her garden, and explores the Pacific Northwest with her husband and two young daughters.